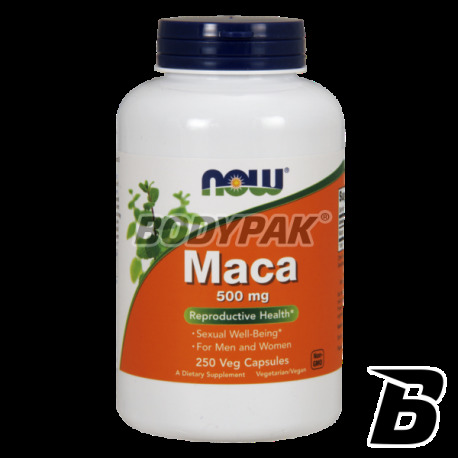 Health & BeautyNOW Foods Maca 500mg - 250 kaps. 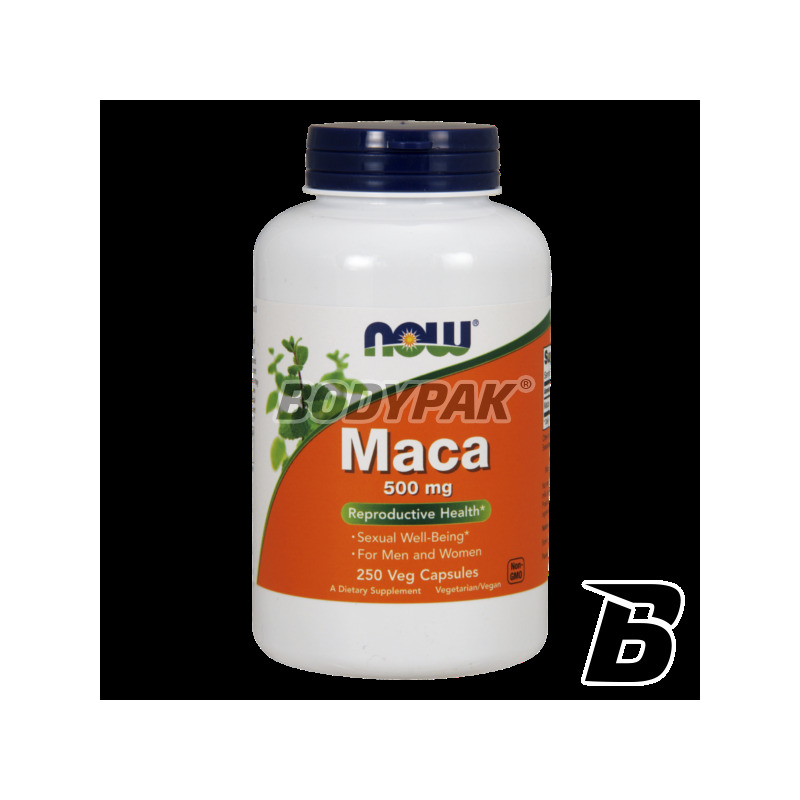 NOW Foods Maca 500mg is a product of the highest quality and purity of the raw material. I have often manufacturer proved that the opinion it enjoys is fully justified. It provides the body with natural amino acids, plant hormones, vitamins and minerals. Indispensable chronic tiredness. It is recommended that people leading an active lifestyle that requires intense mental and physical effort. Present in the active substance is good for improving memory and learning. The plant, from which Maca is considered as an energizing, supporting the construction and strength of muscle mass, is useful in chronic fatigue syndromes. - The so-called sports. "Extreme", eg climbers, explorers, cavers, divers and other similar require increased strength and concentration under extreme conditions. NOW FOODS MACA 500MG -, the strength of NATURE, handfuls! Inne składniki: żelatyna (kapsułka) i stearynian magnezu (źródło roślinne).